The gentlemanly chaps over at the Frothers’ forums run a charity event pretty much every year, where a special model is sculpted and cast up in limited numbers and given to people who donate to the selected charities via a ‘just giving’ page. This is a great event; supporters get a great model and they raise a good sum of money doing it – last year they raised over £7000!! Last year the ‘model’ was actually a group of three ‘Charlies Angels’ types sculpted by three of my favourites sculptors – Kev White, Andrew Rae and Sebastian Archer, and they were all superb! 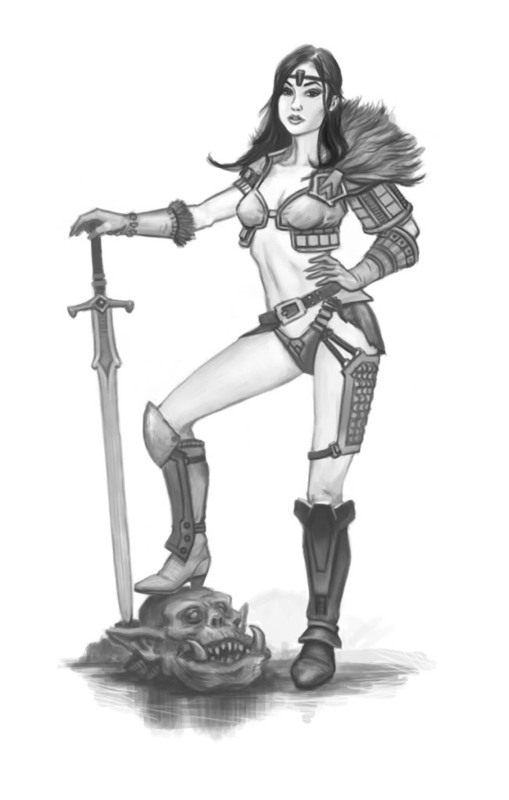 This year’s miniature is a barbarian girlie – click here for more info: Frothers’ Unite!